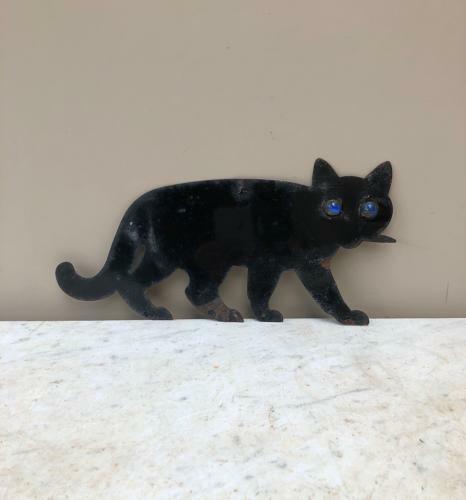 Early 20th Century Metal Cat with Early Blue Cone Marble Eyes. Originally these were hung in Cherry Trees to scare the birds. Little hole at the top of his back where the thread went. The eyes reflect the light and that and the movement in the wind frightened the birds away from the fruit. A lovely decorative item today though.